When I connect an LED to a normal pin, it works fine. When I connect it to 5V or 3.3V with a 220 ohm, it works fine. Without the resistor, the LED gets cooked. My question is, why does it work with the digitals without resistance and not the 3.3V or 5V? Are they hooked up to onboard resistors? What is their output? And finally, where can I learn more about my shiny new microcontroller without diagrams that I can't make head or tail of? Edit: I think this is different from the related question I noted in my comment, but tell me if I should remove it anyway. as noted by OP's reference to this question probably because the Arduino itself cannot supply enough current through it's output pins to damage the LED. But you very well might be damaging your Arduino. When lit, LEDs try to maintain a near-constant voltage across themselves. The voltage varies with LED colour and composition - Red is about 1.8 volts, yellow 2.0 volts, and green 2.2 volts. Blue and white LEDs are 3 volts or so. When you connect the LED directly across the power supply, the power supply can easily supply sufficent current to destroy the LED. You must always use a resistor in series with an LED to limit the current to a safe value, even when it is driven by a microcontroller. Typical LEDs have a maximum rated current of about 20 mA, but will work fine (but dimmer) at much lower currents - I usually design for less than 10 mA. To calculate the resistor value, use Ohm's Law, with the voltage = Supply voltage minus LED voltage. The led and the pin driver eventually come to an equilibrium. 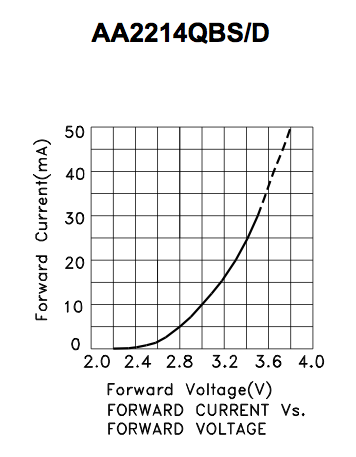 As the source voltages drops, the led wants to pull less current. The problem is that this might be at a current that can damage the pin driver, AND damage the led. It might not be immediate, but it can drastically shorten the life of the Driver, and of the LED, and harm the accuracy of the driver as well. Individual Arduino/ATMEGA Pins should only source 40mA, and that's with a 0.6V droop, The Port should only source 100mA, and the entire Microcontroller should only source up to 200mA. These are the limits of safe/recommended/tested use as stated by the manufacturer. Any more than that stresses the microcontroller, might be okay, might not, but it's a gamble. There is NO current limitation in the pin driver. If you short a logic high pin to ground, you just drew a few Amps and killed the driver. If you want to pull 100mA from a 40mA recommended max pin, you can! It is up to you, the designer, to restrict current draw. The 40mA is a recommendation, like a speed limit. You can drive faster than the limit, you shouldn't for obvious reasons. Leds can be driven above 20mA. That is the Typical rating for x amount of hours. You can give it more, it will be brighter, but will die sooner. ANd it's really because of heat concerns. The more current, the hotter the led junction gets, the more current it wants to let through and eventually it falls into thermal runaway. In short, you can directly connect the led, and through a unintentional combination of factors, it will not blow up (immediately). If you hook up a red led (1.8~2.0v) directly to a 5v pin without a resistor, it will probably die, but a blue or green or white one might not. Last thing, you can use the internal pullups in the ATMega to safely light an LED. The internal pull up of 20k will allow enough current to light an led, dimly. Do I really need resistors when controlling LEDs with Arduino? Arduino Uno R3 hardware serial: peripheral interfering with the USB/Serial-converter? How to resolve this :Arduino UNO not working with Arduino wifi shield? Why doesn't Arduino Nano provide enough current to ESP8266?